Electric cars might be futuristic, but they are already here, and in use. Across the UK, the sales of electric and hybrid cars have risen exponentially, and this is set to continue throughout 2019. But when it comes to electric cars, the lack of chargers is one of the biggest sticking points for potential purchasers. There is, as with most things, an uneven spread of public charging points across the country, with some places offering more than enough, while other cities only able to offer one or two options. That’s why charging points in the workplace can be a great idea. Here at Walker Electrical, we offer installation for EV charging points, in the home and the workplace. And as a result, we have produced this guide to the advantages of electric car charging points at work. Making a big saving- If you opt to install your EV charging points soon, you could make a big saving with the The Workplace Charging Scheme (WCS). 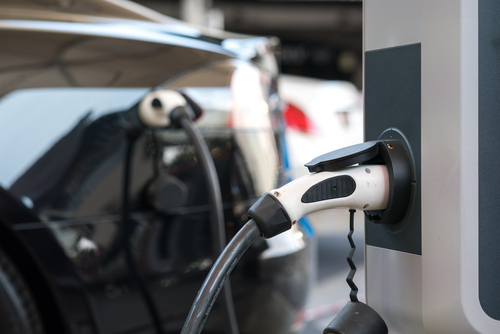 This is a government initiative, voucher-based scheme that provides support towards the up-front costs of the purchase and installation of electric vehicle charge-points, for eligible businesses, charities and public sector organisations. For more information about installing EV charging points at work, get in touch with the experts today, here at Walker Electrical.